For months now, Joe Maddon has been waiting for the Chicago Cubs to play at the level he believes they are capable. Fresh off a four-game sweep of the New York Mets and a seven-game road trip in which the Cubs finished 6-1 as they prepare to welcome the Philadelphia Phillies to Wrigley Field starting Tuesday, Maddon might have gotten his wish. Maddon characterized his team's successful stretch as its "best week of the year" when the Cubs put together solid pitching with a heavy dose of offense that propelled them to the six victories. 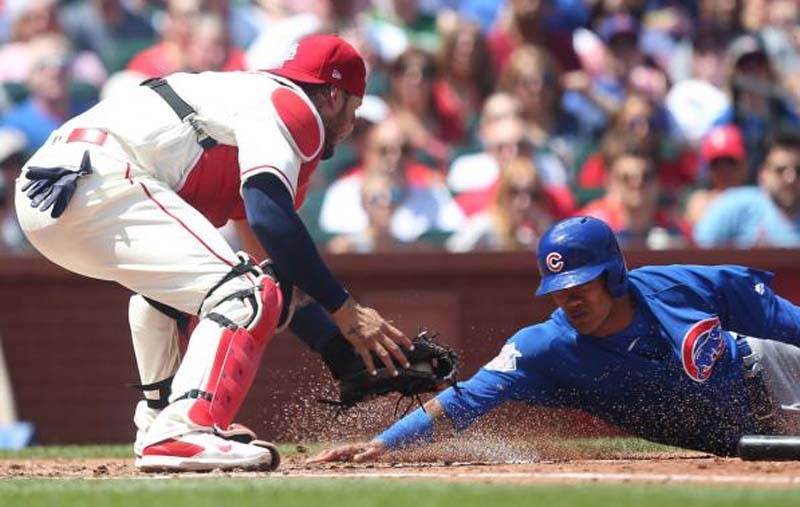 "There are games we could have lost that we won," Maddon told reporters after the Cubs' 2-0 victory over the Mets on Sunday, according to the Chicago Tribune. "That's what you should be saying when you're good. When you break it down, it went in your favor because you did those little things well. That's what we're talking about. That's what gets you over the top." After Jon Lester took a no-hitter into the sixth inning of Sunday's shutout, the Cubs will turn to Kyle Hendricks to try and keep them rolling. Like many of the Cubs' starters this season, Hendricks (4-4, 3.19 ERA) has struggled with inconsistency. He has posted just one win in his past four starts and is coming off a five-inning outing against the Pittsburgh Pirates on May 30 when he allowed two runs and struck out one in a loss that he called "a little bit of a battle." "Honestly, I think I threw pretty good," Hendricks said after the start, according to the Tribune. "It was more of a battle mentally today for some reason, but I made good pitches when I needed to ... I've got to be OK with that one." Hendricks has had a great deal of success against the Phillies in his career. The right-hander is 3-1 in four career starts with a 2.60 ERA. The Phillies, meanwhile, enter the three-game series struggling after being swept by the Giants in a series that Philadelphia ace Jake Arrieta characterized as a "horse(expletive) series." The Phillies, who have lost seven of their past 10 games, managed just one run in the three games. Arrieta, who accounted for the run with a solo home run on Sunday, unloaded on his new team after a 6-1 loss on Sunday as the Phillies prepare to face Arrieta's former squad this week. "We need to have an accountability check," Arrieta told reporters Sunday, according to the Phillies' official website. "This is a key moment in our season. We had a pretty good April, a pretty good May. June isn't starting out so well." Arrieta's blunt assessment of the Phillies recent play was enough to cause manager Gabe Kapler to speak to reporters for a second time after the loss to address Arrieta's comments. "He cares a lot about winning and I think this series (ticked) him off," Kapler told reporters. "It (ticked) me off, too." Asked if the Phillies have enough leadership in place to be accountable for the team's performance, Arrieta said if there's not, "I'll make sure there is." Zach Eflin will take the mound Tuesday for the Phillies. Eflin is 1-2 in five starts this season with a 4.50 ERA and is looking for his first victory since May 7. He is 0-0 with a 3.86 ERA in his lone career start against the Cubs.